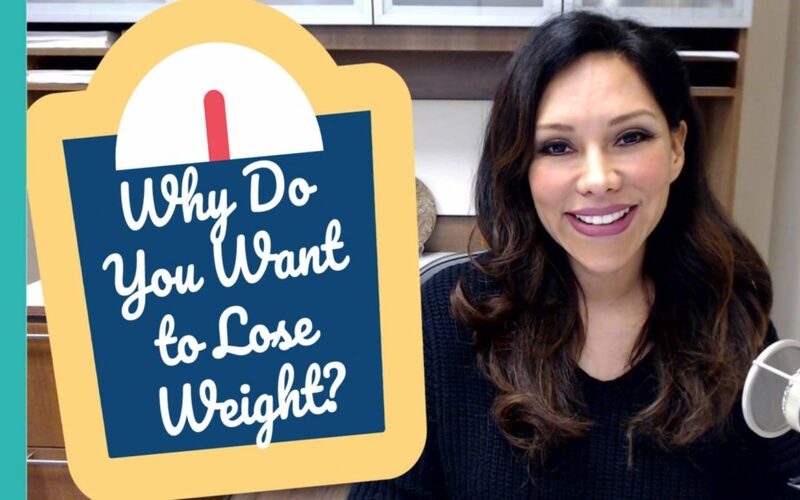 Why Do You Want to Lose Weight? Why Do You Want to Lose Weight? If you are somebody who wants to lose weight, have you ever questioned the why behind it? I’ve found that if I keep asking questions for the purpose of getting to the core of a person’s goal, for a lot of people, it’s because they think they will gain more acceptance and love in their lives. So for example, I hear a lot of single women say stuff such as, “After I lose 20lbs, I’ll feel comfortable dating again.” or “I’ll feel confident looking for a job that pays more.” Most people will also mention that they’ll feel more comfortable in their own skin but that’s only an afterthought. It’s often the desire for acceptance and love that fuels people. That’s not a good long term set-up for success. So what I’m going to propose to anybody who wants to lose weight is that you now make your why because you deserve to be healthy and because you now hold yourself to a higher standard of self-care that coincidentally also comes with weight loss. Make it so that what I term weight release, because the goal is to release it and not find it back again, comes from you being so committed to taking care of yourself that you can’t help but want to do that for yourself and continue doing it, now and for the rest of your life. Because you deserve it. Of course you do. Operate from this place and you’ll find that this mindset supports you making the adjustments and improvements you need to make so that you can find yourself reaping the rewards of being good to yourself. My friends, I’m happy to announce that in the month of February, I will be launching my new membership website: http://MyMindTime.com and that the first program that I will be launching with is going to be a Mindful Eating & Healthy Weight Release Program. If you haven’t already done so, feel free to sign up for my newsletter by going to: http://SashaCarrion.com and the moment it is ready to go, I’ll email you to let you know.